Last year Rhys Millen set a new record for production SUVs in the Pikes Peak International Hillclimb when he ran an impressive 10:49.90 run from the bottom to the top in a brand new Bentayga. It’s a new year and Bentley have again decided to put Millen in one of its cars this June for a second record attempt in a row, this time with a W12-powered Continental GT. This time the goal isn’t quite as limited, as Bentley are aiming for the outright production car record, currently held by a Porsche 911 Turbo. 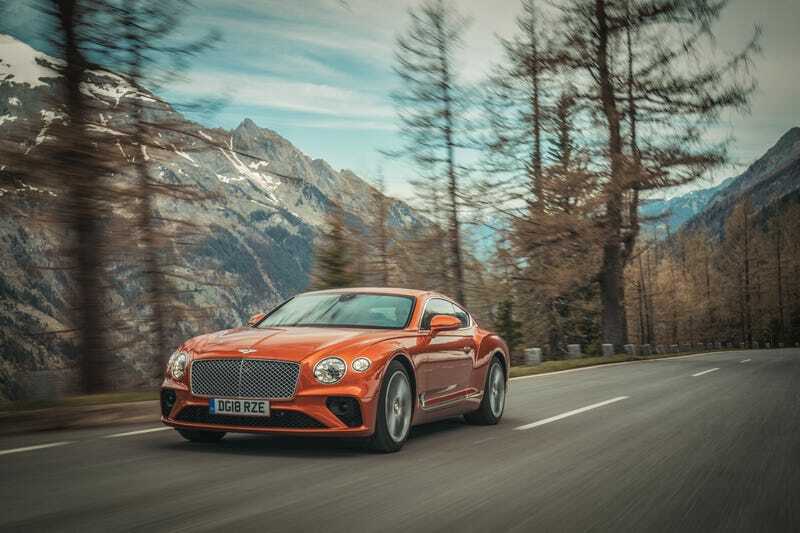 With 626 horsepower on tap and 664 ft-lb of torque shove from the twin-turbo twelve, Bentley’s Conti GT might actually have a good chance of capturing that record, too. The current record was set by David Donner in 2015 with a time of 10:26.896. If Millen can shave 30 seconds from his time by switching from a Bentayga to a Continental GT, then he’ll have the record well in hand. Assuming everything from weather to luck goes his way. I seriously hope that this move by Bentley sparks a new movement among OEMs to set records at Pikes Peak. By encouraging cars to be faster up the mountain, they’ll need to develop more pliable and comfortable suspensions to handle the crazy bumpy surface, more turbocharged or electric power to combat the increased altitude, and hopefully make everything smaller and lighter. Pikes Peak deserves to be America’s Nurburgring. Pictured: Me on my way to Radwood Las Vegas next Saturday.